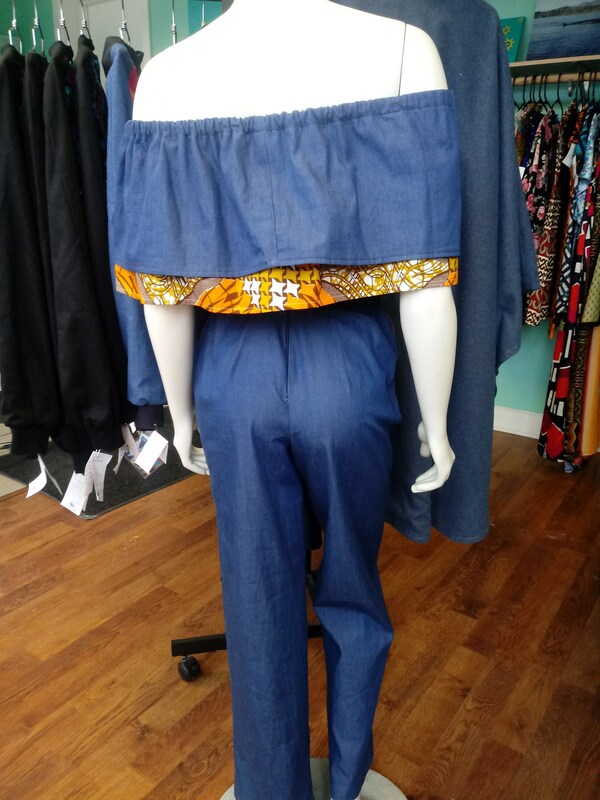 Off shoulder denim jumpsuit, in a lightweight breathable chambray denim in medium blue. 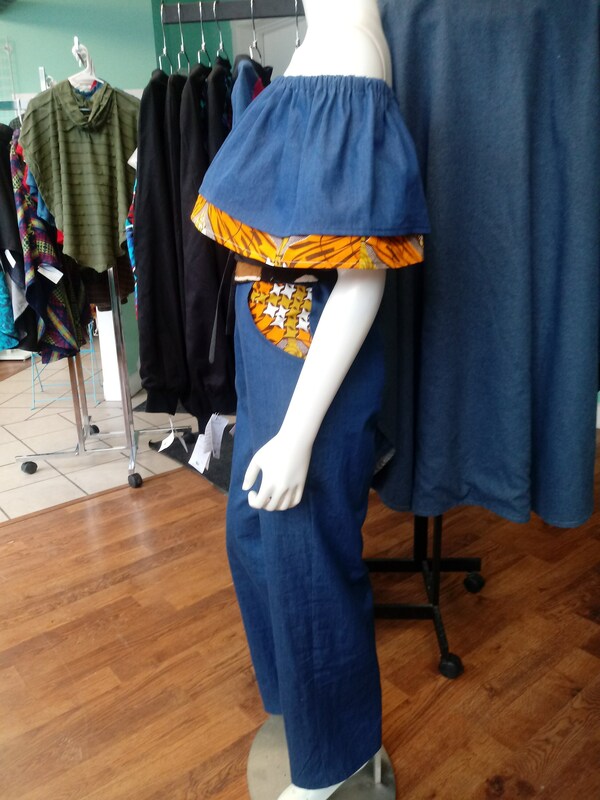 The pants feature front pockets, wide leg, and full length. Back zipper, and top with elasticized top. Double flounce, featuring one in a wax black ankara, sourced in Ghana. Order by size, but please send measurements to ensure a perfect, customized fit! Part of the Tidal Cool Vivid! 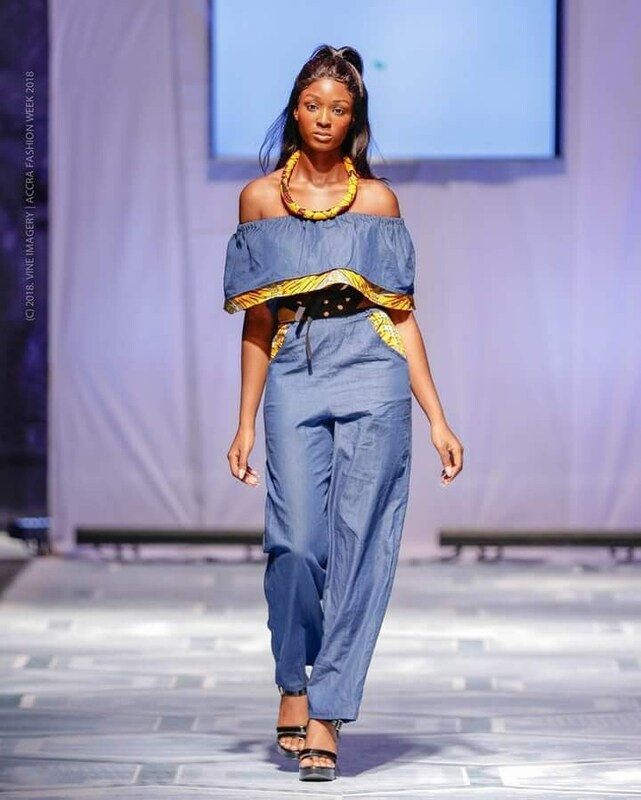 Collection, designed for Accra Fashion Week, and worn by the lovely Marilyn, Miss Ghana 2018. 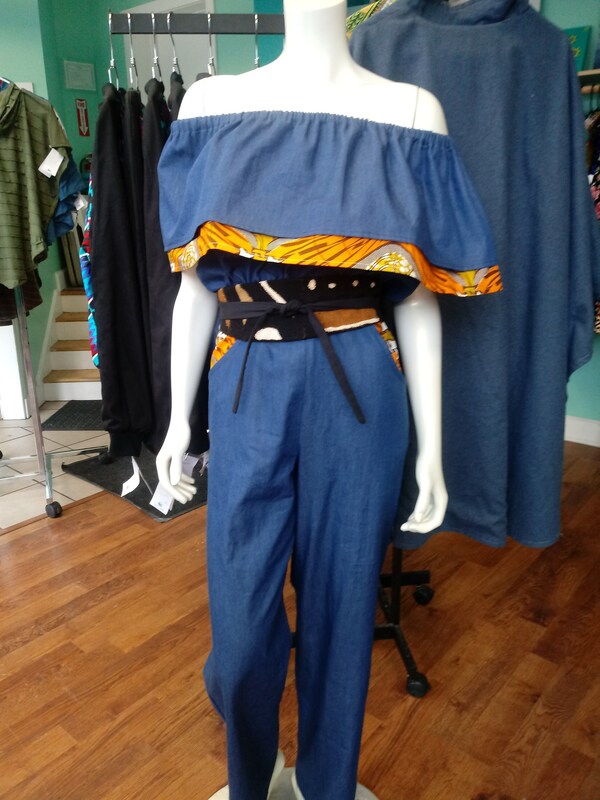 Shown with a Tidal Cool mud cloth Obi belt, available separately! All clothing handmade in Cleveland, OH.